1. Check that all the fastening bolts are in good condition. 2. Check for foreign matter in the crushing chamber. 3. The belt under the relaxation is more than 15mm, and the belt surface is not damaged. 4. The bearing housing is well lubricated and the seal is intact. 5. The base has no disordering and the motor bolt ejector acts. 6. Make sure to install the magnet. 7. Check that the wear condition of the hammer is kept within 30% of the total volume. 1. First, the driving signal is issued, and the crusher runs for 2 minutes after no-load operation. 2. No abnormal vibration and abnormal sound during operation. 3. Whether the belt has slip or burnt smell. 4. The fuselage, motor without displacement. 5. There is no leakage of equipment. 1. Unloading is uniform, continuous and try to distribute the material at the discharge port to prevent the motor load from being unstable. 2. It is strictly forbidden to have iron parts and other materials that cannot be broken into the machine to avoid damage to the equipment and accidents. 3. 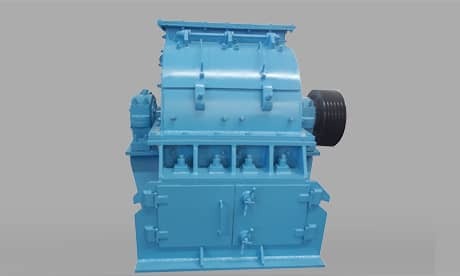 When the crusher is running, the staff can't stand in the inertial force action line of the rotor, and it is forbidden to carry out any cleaning, adjustment, inspection, etc., to avoid danger. 4. The bearing temperature is hot (about 65 degrees), stop immediately, and notify the repair and proper disposal. 1. After stopping the feeding, let the crusher continue to run for 2-3 minutes until the material left in the crushing chamber is broken: cut off the power of the crusher. 2. The equipment should be cleaned after the work is completed. 3. The operator carefully fills in the shift record.